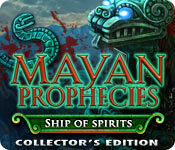 Mayan Prophecies: Ship of Spirits Collector's Edition is rated 4.5 out of 5 by 113. Rated 5 out of 5 by Boomer1097 from Spirits, A Lost Ship and Mayans....What Fun This game is so much fun to play and the CE is definitely worth the price. You encounter a ship drifting in the ocean and the fun really begins. There are four modes of play, a journal, an interactive map and built-in SG. There are a number of locations to visit, plenty of HOS and mini games, transforming objects to collect, hummingbirds to collect, pieces of a calendar to collect and pieces of an artifact to collect. In the HOS, you can elect to play a Mahjong game if you prefer. The interactive map is excellent and very useful when you want to move around quickly. The voice-overs are acceptable, the music and background sounds are fine. The bonus chapter is a nice end to the game. There are standard extras and you can play Mahjong games again. You collect achievements throughout the game. I highly recommend this game! Rated 5 out of 5 by Crazy_Cat_ from Great Game I really enjoyed this game. I thought that the length of the game and bonus game were well worth the money. Some games are just too short for the price of a CE. The mini games were great and challenging. The story line was different but I was able to follow it. Great game, thanks! Rated 5 out of 5 by frog44 from great with one exception I have had the CE edition for some time but not played it a second time until now. 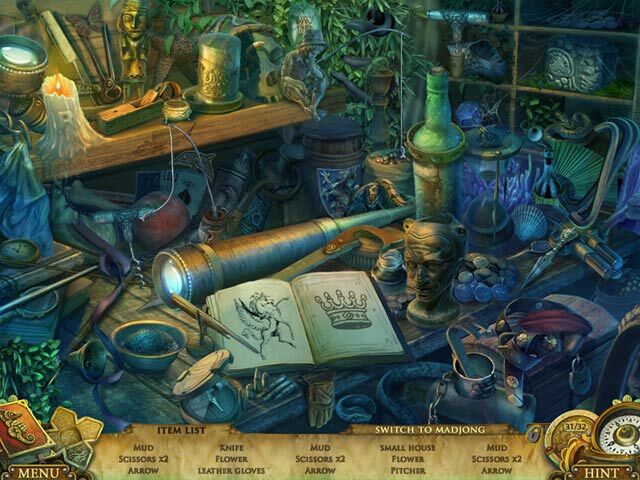 It is a great game with lots of hidden object scenes and puzzles. I was having a difficult time going through all the scenes to get to the one I needed and was about to complain there was no map....found the map by accident when I clicked on the "sea horse" for the first time and there was the map! So now back to my one madding complaint; when going between scenes expect to wait 5 to 9 seconds with a black screen. This includes moving up or down which is why I got frustrated before I found the map. If you use the map the black screen interruptions are greatly reduced (obviously) and this game is less upsetting and far more satisfying. Rated 5 out of 5 by grassroots73 from Really Rather Enjoyed This! Only just finished playing..for the second time..and decided to submit a review for this one. I loved it, had great fun playing. It's great to find the morphing objects, the humming birds, and to get all the achievements..so for me this was worth a CE. The fact that I've played through entirely, twice, says that it has great playability and I could barely put it down (so to speak :)). The story is entirely set on ship and it is a bit of a wonder that a ship of that date had so many rooms, but then, it's only a game :) Love it all. Rated 5 out of 5 by cestqui from worthy CE Very enjoyable, and the bonus game and extras made it a good CE value. THE REALLY GOOD: Great length of play (about 6 hours for me for regular + bonus) Interactive map Many concurrent play objectives (finding calendar and artifact pieces, hummingbirds, and morphing objects) Achievement progress counted during game play A LOT of HO scenes HO scenes interactive HO scenes busy enough to be challenging but well drawn enough to be doable Option to play mah jongg rather than find objects in HO scenes Good variety of mini games Morphing objects Story with artifact THE OKAY: Music was nicely done and unobtrusive but there didn't seem to be a great variety/differentiation Mini games were not overly challenging Artwork good but not great, and the style wasn't consistent Storyline interesting but a bit incongruent THE NOT GREAT: It bugged me was that the shared journal/map feature reverted to journal each time rather than staying on whichever feature was last used. I use the map feature much more than the journal. Not a big deal, just mildly annoying. Overall, very well done. Highly recommended. 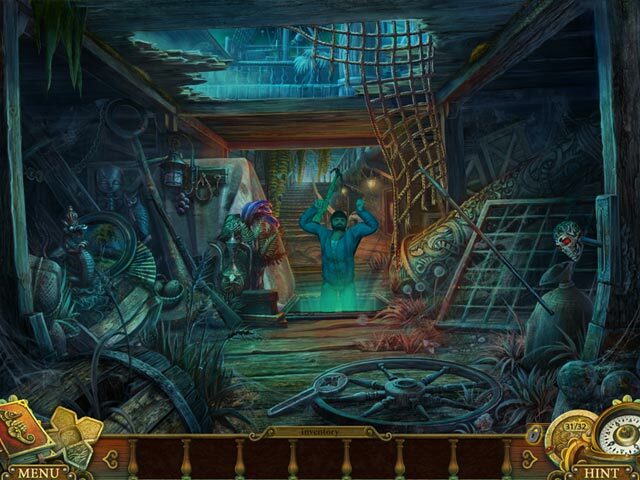 Rated 5 out of 5 by cybersauced from Mayan Prophecies: Ship of Spirits ~ Kept Me Happy Based on completed game. The CE of this game is well worth the money. Beyond objects, humming birds and achievements. Nearly 7 hours of game play. Great story. I wish all other CE's could be as good as this one. Rated 5 out of 5 by arnold1049 from SMOOTH-PACED GAME This game flowed smoothly and logically for a relaxed feeling of play. This was made possible by the interactive map and integrated strategy guide. The interactive map was a necessity, as this game revisited the same locations over and over. If it had not been for the map, movement would have been too frustrating for me to consider playing the game. Most of the puzzles weren't too hard, though I needed to refer to the strategy guide for a couple of them. I was able to get through all the HOS without having to use a hint. It gave you the option of playing a mahjong game instead of the HOS and as part of the extras, you could play these mahjong games one right after the other. Accomplishing various tasks during the game won you achievement awards. The bonus chapter was not that great; it didn't really fit into the basic game. The pace of the game was just right for me and I enjoyed playing it. Rated 5 out of 5 by areti7 from A Great Game An excellent game with lovely graphics, a perfect story and something very positive for me it's not a very long game. A lot of HOS with the option of switching to Mahjong game play that I like a lot. 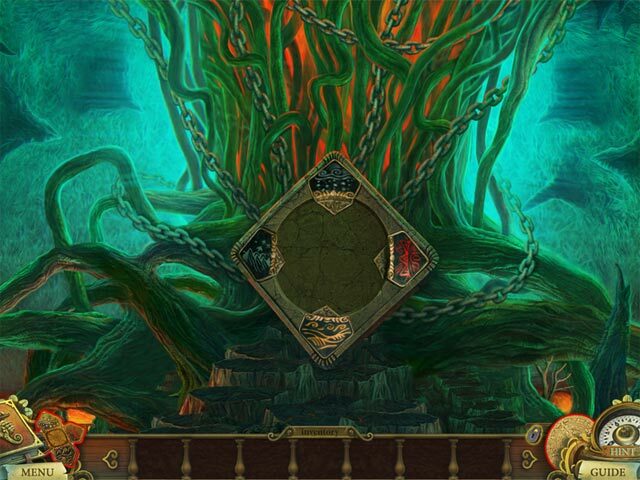 Many puzzles and almost easy to solve them and a helping hint.The Bonus (If you buy the C.E.) gives the end of the adventure and it worth the money..It is a fabulous game and be sure that you will love it. Bravo to the Elefun Games creators. Rated 5 out of 5 by Jemby from Excellent adventure/Hidden Object game Graphics are beautiful, even the video tie-ins for the story line are so good I didn't use "skip", but watched them all. Puzzles are moderately challenging, extra effort required to locate "beyond" objects and hummingbirds throughout. A bit more back-and-forth than I would have liked. A map would be useful, but I have no idea how they could show the various vertical level changes. Very glad I had the CE version with the Guide. I bought this and its "Cursed Island" sequel together on a BF bonus deal, so played the story all the way through. Great fun, and will play it again...recommended! Rated 5 out of 5 by Mamalov from Outstanding Game with Gorgeous Graphics The only problem with this game is that eventually, it's over! The plotline twists and turns in surprising ways that keep the player completely interested. It was truly hard to stop playing when the requirements of life — meals, sleep, work, family, etc. — intervened, but that just gave me something else to look forward to each time. The puzzles were challenging but not impossible ... maybe too easy for some, but certainly not for this moderately practiced gameplayer. I'd have to say that this is one of the alltime best games I've ever found. I hope the people who created it will publish many more!